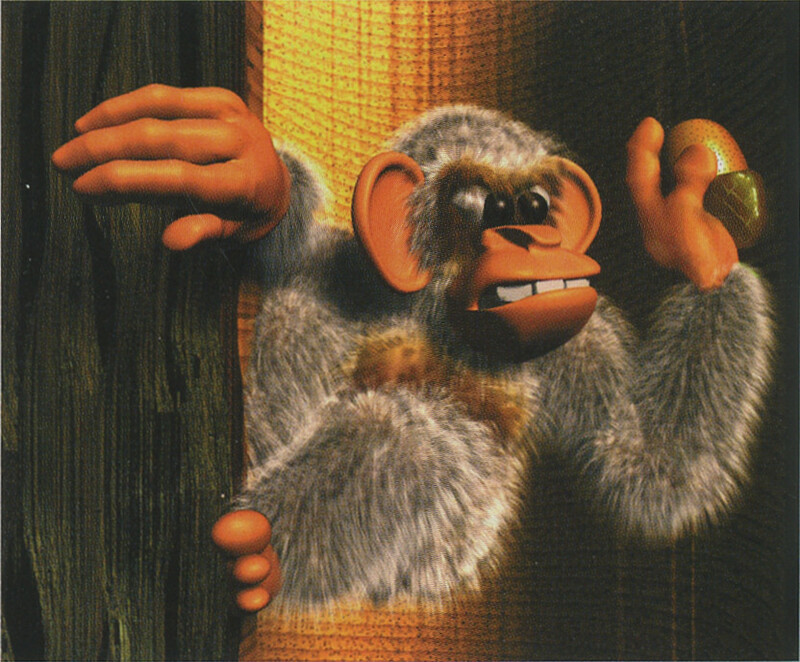 Artwork of a Minkey from Donkey Kong Country 3: Dixie Kong's Double Trouble! Minkeys are small, white monkeys encountered in Donkey Kong Country 3: Dixie Kong's Double Trouble! and Donkey Kong Land III. According to Donkey Kong Country 3's credits, Minkeys belong to the "Terrorfirma Tuff Guys" enemy class. In Donkey Kong Country 3, Minkeys are found only in one level called Barrel Shield Bust-Up, which is located in the area Kremwood Forest. Minkeys attack Dixie Kong and Kiddy Kong by hurling an acorn at them from their perch in a tree; they then proceed to duck back into their perch and pop back out to throw another acorn. Dixie or Kiddy can either dodge these thrown nuts or use a Barrel Shield to protect themselves. In Donkey Kong Land III, Minkeys are slightly more common, being found in the three levels, Minky Mischief, Redwood Rampage and Simian Shimmy. In the Game Boy Advance remake of Donkey Kong Country 3 Minkeys are also found in the level, Sunken Spruce, which is located in the area Pacifica, a world exclusive to the remake. The Helper Monkeys from Donkey Kong Jungle Beat and the evil Ninjapes of the same game resemble the Minkeys. The Hurleys from Donkey Kong Barrel Blast also resemble them. This page was last edited on November 3, 2018, at 02:42.